http://cinziamazzamakeup.com/?x=levitra-senza-ricetta-Palermo Originally born and raised in Muncie, Indiana, Patricia Thayer was the second of eight children. She attended Ball State University, and soon afterward she headed West. Over the years, she’s made frequent visits back to the Midwest, trying to keep up with her family’s numerous weddings and births. go Patricia has called Orange County, California home for many years. She not only enjoys the warm climate, but also the company and support of other published authors in the local writer’s organization. For the past eighteen years, she had the unwavering support and encouragement of her critique group. It’s a sisterhood like no other. house of god lasix dose When not working on a story, you might find her traveling the United States and Europe, taking in the scenery and doing story research while thoroughly enjoying herself accompanied by, Steve, her husband for over 41 years. Together, they have three grown sons and four grandsons. As she calls them, her own true life heroes. On rare days off from writing, you might catch her at Disneyland, spoiling those grandkids rotten! She also volunteers for the Grandparent Autism Network. 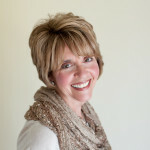 http://camphickoryhills.com/?search=the-use-of-levitra Patricia has written for over 20 years and has authored over 39 books for Silhouette and Harlequin. She has been nominated for both the National Reader’s Choice Award and the prestigious RITA. Her book, http://maientertainmentlaw.com/?search=no-prescription-viagra Nothing Short of a Miracle won a Romantic Times Reviewer’s Choice award. source url She has been a guest reader at elementary schools and lectured aspiring authors. 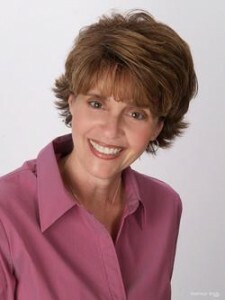 A long time member of Romance Writers of America, she has served as President and held many other board positions for her local chapter in Orange County. She’s a firm believer in giving back. levitra women miglior sito per acquistare vardenafil originale 20 mg WELCOME TO MY WORLD OF ROMANCE! injuries caused by accutane and claravis I hope you enjoy my new website where I have a list of all my books, and future releases. I have a brand new blog I will be posting to as well. Please, take the time to browse around. accutane recommended dosage To stay up to date on my latest releases, be sure to subscribe to my newsletter! buy propecia with paypal Enter your email address to subscribe to "My Thoughts" and receive notifications of new posts by email.